If your local shooting club wants to attract new members, and provide a new form of competition, consider starting a series of groundhog (varmint) matches. These can employ paper targets, metal silhouette-style targets, or both. Groundhog matches are fun events with straight-forward rules and simple scoring. You don’t need to bring windflags or load at the range, so a Groundhog match is more “laid back” than a registered Benchrest match. Normally there will be three or four rifle classes, so you can compete with a “box-stock” factory gun, or a fancy custom, as you prefer. Many clubs limit the caliber or cartridge size allowed in varmint matches, but that’s just to protect reactive targets and keep ammo costs down. In this article, Gene F. (aka “TenRing” in our Forum), provides a basic intro to Groundhog matches, East-Coast style. Though Groundhog matches are very popular in many parts of the country, particularly on the east coast, I’ve found that many otherwise knowledgeable “gun guys” don’t know much about this form of competition. A while back, I ordered custom bullets from a small Midwest bullet-maker. He asked what type of competition the bullets would be used for, and I told him “groundhog shoots”. He had not heard of these. It occurs to me that perhaps many others are unfamiliar with this discipline. Share the post "Groundhog Match Basics — What to Expect"
Share the post "Good Sources for Official Shooting Competition Targets"
About 24 miles east of Oceanside, California (near the Camp Pendleton Marine base) is the Pala Reservation. On that Native American land you’ll find a Casino Resort, plus an excellent shooting range. The first Sunday of every month, shooters come to Pala for the Varmint Silhouette Match. At five different yardages, ten steel “critter” targets are set as follows: 200 Meters – Field Mice (“pikas”); 300 meters – Crows; 385 meters – Ground Squirrels; 500 meters – Jack Rabbits; 600 yards – Prairie Dogs. There’s a North County Shootist Association Varmint Silhouette match this Sunday, October 2, 2011. You’ll need an accurate rifle, and 80-100 rounds of ammo. You can shoot either rested prone (F-Class style), from bipod, or from a portable bench with front pedestal and rear bag. Any rifle 6.5 caliber or under is allowed, with no weight restrictions. Muzzle brakes are permitted. There’s a one-hour sight-in period starting at 8:00 am, and the match starts at 9:00 am sharp. The folks at Pala run a tight ship, cycling multiple relays efficiently, so everybody gets to shoot 50 targets (10 each at five different yardages), and the show is usually completed by 1:00 pm. (Then if you want… head over to the Pala Casino for gambling fun, or a spa treatment.) CLICK HERE for Match Info. Your Editor has shot with the folks at Pala, so I can assure any first-time participants that this event is well worth attending. The Fun Factor is very high. Share the post "Fall Fun at Pala Shooting Match in Southern California"
In the Utah backcountry, a group of avid shooters turned entrepreneurs have created an exciting new shooting sport: Rifle Golf. We kid you not — this is not a late April Fool’s story. Here’s how it works — north of Salt Lake City, at the 8,400-acre Spirit Ridge Rifle Golf facility, 30 realistic wildlife targets have been set up set at distances ranging from 175 to 1,200 yards. Shooters engage targets in numbered sequence as they progress through four covered shooting stations. Hits are scored on each of the 30 full-size metallic animal targets, with bonus points for “bulls-eye” hits to the vital zones. A single session of Rifle Golf (4 stations, 30 targets) costs just $50, with a small fee for ATV rental. The game is challenging yet fun, and it allows hunters to practice their shooting skills at various distances, with both up-angle and down-angle shots. The YouTube video below shows the action at all the shooting stations — definitely watch the video. Marksmen test their long-range accuracy on multiple targets set up at different angles and slopes along a 6-mile course. ATVs are used to travel to each of the four stations and shooters can choose from the classic course for newcomers or the more challenging masters’ course. Each hole or target is assigned a par value depending on the degree of difficulty. Shooters can cut strokes from their score by hitting the life-size wildlife targets in the vitals area. 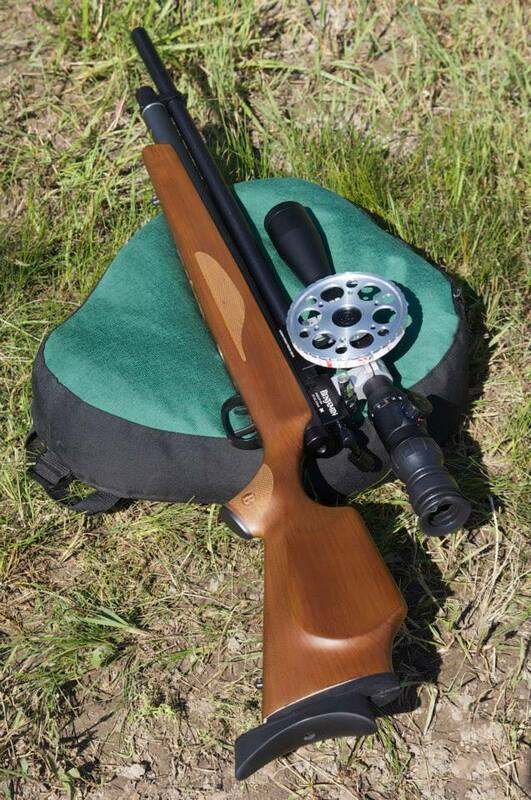 Successful shooters are rewarded by a “dinging” sound when they hit the steel target fitted to each silhouette. According to Jeff Petersen, Spirit Ridge guide: “Rifle Golf is an ideal way for hunters to practice their shooting skills. You’ll become a better shooter and identify your limits regarding how far you can accurately and consistently shoot.” We think this kind of multi-target, multi-location shooting experience should be fun for tactical shooters as well as hunters. Offering ranges from 175 to 1200 yards, the Spirit Ridge ‘course’ mimics real-life hunting experiences for riflemen of all abilities. Each station features multiple targets, and the shooters must, at times, make steeply angled shots — just as they would on a real hunt. The reactive targets, complete with ‘vitals’, let you know when your shot is dead-on. Spirit Ridge Rifle Golf is located in scenic North Central Utah hill country. Groups of four to six shooters are accompanied by a guide who assists with locating targets and scoring. Each shooting station sits on a concrete slab covered by a metal awning. All stations are equipped with shooting benches, a picnic table and chairs for participants, guides, and spectators. The Club House features meeting space, restrooms, showers and other amenities. You’ll find lodging and restaurants in nearby Tremonton, Utah. We think Spirit Ridge’s $50.00 “single event” fee is very reasonable, and for $175 you can get a four-session “Punch Pass”. To learn more about Spirit Ridge visit www.spiritridgeriflegolf.com. To reserve a “Tee Time”, or request a group booking, call 435-764-6980. For those of you in the Utah region — a day of “Rifle Golf” would make a perfect Father’s Day gift for an active hunter or shooter. Share the post "Head to Utah for a Round of ‘Rifle Golf’ at Spirit Ridge"
Students from the Brownells-sponsored Third Year Gunsmithing program at Trinidad State Junior College (TSJC) donated their time to help shooters at the recent Black Powder Cartridge Rifle National Silhouette Championships. The students repaired guns during the event, held at the NRA’s Whittington Center Range near Raton, New Mexico. The TSJC gunsmiths-in-training worked on almost 40 guns belonging to the 200 competitors in the event. In the photo at right, John Cowell and Bob Campbell work on a firing pin problem for one of the shooters. 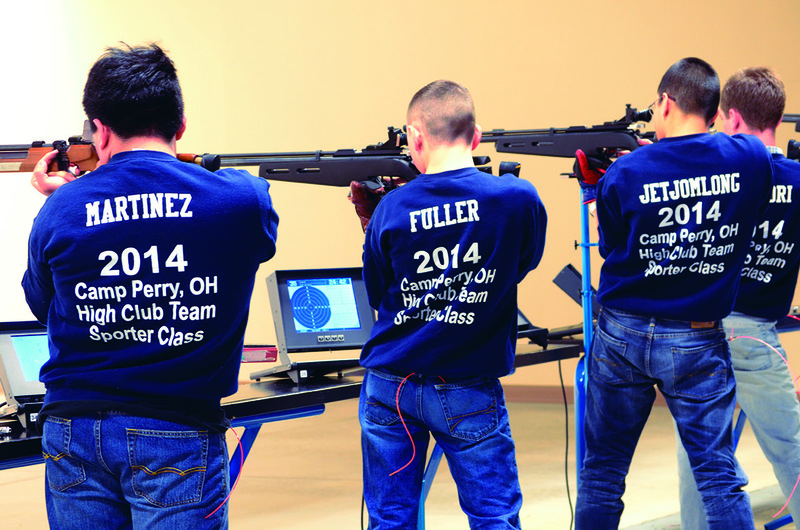 The Whittington Center experience let the students practice their skills with the extra time pressure of helping a shooter get back to competition. 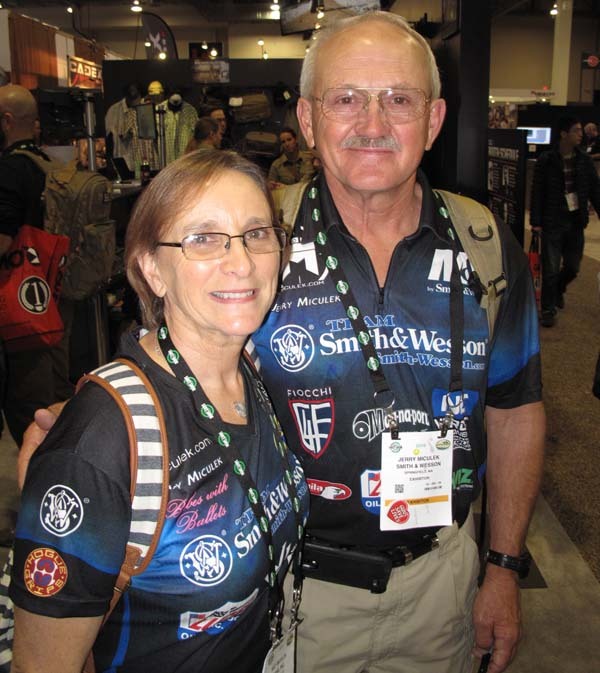 “This is exactly [what] the 3rd Year Program was designed to do — get the students hands-on experience solving real gun repair problems,” said Brownells President, Pete Brownell. You’ll find a good summary of Black Power Cartridge Rifle Silhouette History, Rules and Equipment on the Outdoor Adventures Network website. In Black Powder Cartridge Silhouette Silhouette (BPCRS) competition, shooters must knock down steel silhouette chickens at 200 meters (656 ft.), pigs at 300 meters (984 ft.), turkeys at 385 meters (1,262 ft.) and rams at 500 meters (1,639 ft.). As in high-power rifle silhouette competitions, the chickens must be shot off-hand, in the standing position. 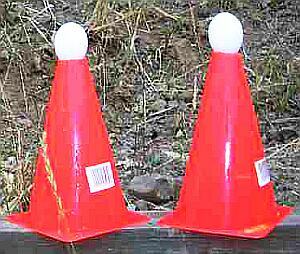 However, BPCRS differs in that the pigs, turkeys and rams may be shot in a prone or sitting position using a cross-stick rest. Ten shots are fired at each target, for a total of 40 shots per match. The challenge is in the equipment — BPCRS is limited to single shot, exposed-hammer, American rifles of the era preceding 1896. 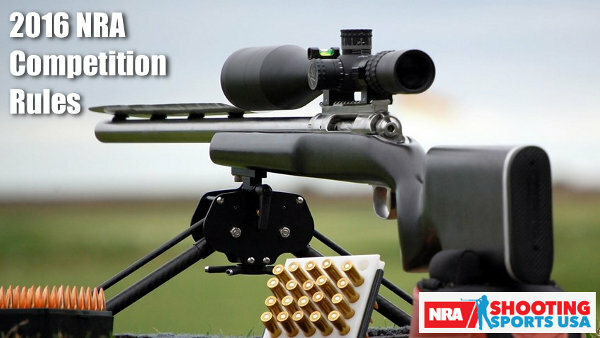 Only original or reproduction single shot rifles that shoot cartridges loaded with black powder or Pyrodex are allowed. Only original sights may be used –- no scopes. LongRangeBPCR.com (Informative site for BPCR Long-range Competition). BPCR.net (Active Forum, Tech Pages, and Match Results). Outdoor Adventures BPCR Silhouette Page (Summary of BPCRS Rules and Equipment). Ballard Arms (Beautiful Hand-crafted Black Powder Cartridge Rifles). Share the post "Third Year Student Gunsmiths Aid Black Powder Competitors"